Maroon 5 are rewarding eager fans by returning to Sydney and Melbourne in October 2012 for a quickie tour, promoting their new album Overexposed. American band Maroon 5 shot to fame with a very unique pop rock, funk rock sound in 1998 with the release of their debut album Songs About Jane producing four hit singles. The album went gold, platinum and triple platinum in a number of countries around the world. In 2005 they won a Grammy Award for Best New Artist. Their second album was released in 2007 with their first single Makes Me Wonder to reach number one on the Billboard Hot 100. 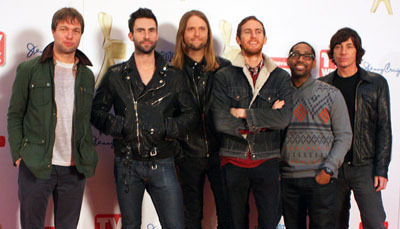 In 2010 Hands All Over, their third album featured their most successful song to date, Moves Like Jagger. 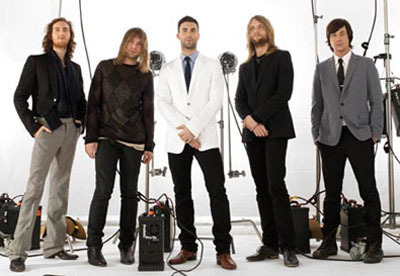 Maroon 5 took this current generation back to the 70's and 80's to the times of the Rolling Stones. It's a catchy tune and a really funny video to watch, with a bare chested and heavily tattooed front man Adam Levine singing with a very broad range of people dancing, or trying to dance like Mick Jagger. Featuring the powerhouse voice of pocket rocket, Christina Aguilera. Of course the song is about Mick Jagger's legendary over expressive stage moves, which by the way he modelled off the great Tina Turner's raunchy dance steps; not original Mick. All it takes is one very catchy tune to sell over 8 million copies and establish yourself in the music industry. Success was not overnight, they have been playing and honing their craft since they were in high school. I love singing this song when I want to feel silly and when I'm with certain friends and perhaps a little wine has been involved, we have been known to do some outrageous moves, even in public sadly to say. Here are the lyrics if you want to sing along to your dance steps. At the Logies 2011. Image: Wikipedia. A great watch - try out your own moves like Jagger! Moves Like Jagger - Maroon 5 live. 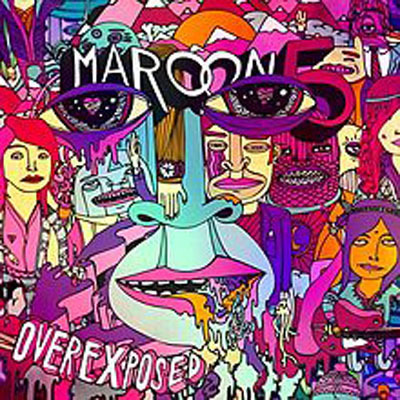 Adam Levine and Maroon 5's new single Payphone from their current album Overexposed. A very dramatic video, maybe Adam is looking to acting in the future? Interview with Adam Levine on their album Overexposed. Some behind the scenes peeks. This should be a great show, get your diary out and get your tickets. Tickets on sale from 9am, Tuesday 3 July from Ticketmaster, 136 100. Official Maroon 5 Website: to see what else they are up to. Why? Because you like to move like Jagger! When: 12 - 13 October 2012 - if successul they just may put on some more concerts, but don't rely on this.